If you don’t want to bring your good pram on holidays for fear of damage, or simply because it’s too big, what are your options? Should you hire one, or buy? Is it worth spending some money and getting something decent or should you get a cheap ‘throwaway’ stroller just for the trip? Here are a few pointers to help you decide! Look for a stroller that has a full recline (for infants and naps). 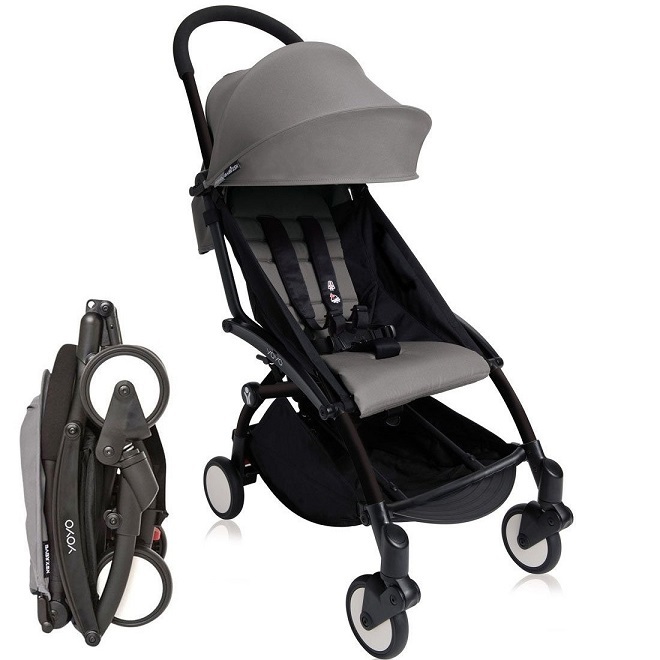 Some strollers are only suitable from 6 months + so make sure to check. It sounds a bit random, but check the stroller has a foot bar/ strap for your child to rest their feet on. The cheaper ones don’t tend to and it is something parents have commented to us on. A sturdy frame is essential. Ask at the shop what the maximum weight that the stroller can hold is. Some will only go up to 15kgs. Avoid them at all costs! They feel like they will snap in half with a child in it. Good brands and models to guide you are MacLaren and SilverCross. MacLaren are not the prettiest, but in our view the best. They are really strong and durable, and suitable from birth. The SilverCross Pop is tested up to 25kgs. They cost around €120, but in our view both are worth the investment. 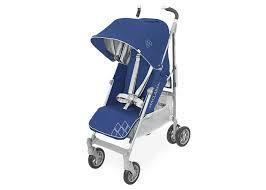 You will find this type of buggy very useful to have in the boot of a car well after the holiday is over! Look out for features, things like sun hoods with UV and or rain cover can come in very handy depending on where you are! Purpose-built and designed specifically for travel, (but it should be added can make great principle prams for city dwellers too). They are very compact, with some folding down to cabin bag size. (That doesn’t mean it will be allowed in to the cabin; that depends on how full the flight is and each airline’s baggage policy). Travel buggies are easy to collapse, always in one piece. They have design features such as padded shoulder straps or handles, making them easily portable. They are robust enough to carry heavier weights and navigate cobbles and footpaths, yet lightweight to maneuver. Travel accessories such as travel bags and full protection sun shades are often part of the bundle. Most have the option to buy additional accessories like mosquito nets. Unfortunately, the good ones are expensive. The original travel buggy by Yoyo has spawned many copycats, such as Mountain Buggy Nano and Bugaboo Bee, and prices start around the €350 mark. Ultimately it should depend on your budget and how much you travel. If you are going on a trip, check out our blog on how to avoid the buggy being mishandled, and what to do if it is. We definitely advise against buying cheap, throwaway strollers. They’re not worth it, so difficult to steer, no features at all like sun hoods and liable to break even before you get close to an airplane! Of course, there is always hiring, go on, take a little peak!